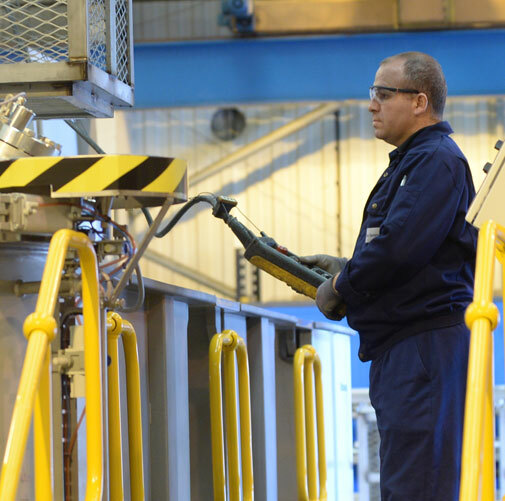 Our fully managed service delivers all the benefits of a best-in-class Ultraseal impregnation plant – with a dedicated and experienced operations resource – on your own site. By managing the complete end-to-end impregnation process, we provide a bespoke and cost-effective solution which improves production quality, capacity and lead-times while reducing production costs – all without investment in capital equipment or personnel. Our operations specialists become an extension of your team and quickly integrate into your business to provide high levels of customer service and year on year improvements against agreed production KPIs. Free up your quality and engineering teams to focus on value added activity. Our onsite impregnation service is delivered by an experienced resource using proven and effective methodology, ensuring an efficient impregnation service that delivers benefits from day one. 1. We work closely with you to get an in-depth understanding of your component impregnation needs, as well as your current systems and processes. 2. A skilled and experienced operations team manages all aspects of equipment specification, process design, plant build and installation for your site – against agreed milestones. 3. We assign a dedicated Manager to work alongside and support your operations, engineering and quality teams. 4. We provide a regular measurement scorecard against a broad range of KPIs to monitor progress and help ensure we deliver against agreed targets. Ultraseal’s global network of impregnation service centres provide the highest quality impregnation service for customers who do not wish to invest in process equipment.